A new driver in the household can take a toll on parents’ well-being — and wallets. Eliminate (some) stress by finding the right type of vehicle for your teenage driver. Let’s face it: Teens are lousy drivers, which creates a conundrum for families who want the most up-to-date safety features for children who are statistically likely to dent that new car. Our best new cars for teens picks balance budget concerns with excellent safety ratings. Whether you’re buying a car for your teen, or you’re a teenager buying for the first time, here are the seven best cars for teens. Here are the categories we looked at when deciding what cars are the best for teen drivers. All of the cars on our list are 2018 vehicles as many 2019 models don’t yet have published crash safety tests. Price. The base MSRP for the car model had to be under $30,000 — unless otherwise stated, all features are standard and included in a base model. (Available features require additional costs.) Teenagers may not be able to earn a lot of money and parents may not be able to add (another) vehicle to the budget easily. You could use an auto calculator if you’d like to see what car price you can afford or what monthly payments you may get based on a car price. And, a word to the wise, just as you shop around for the best car price, it’s smart to shop around for the best loan APR. For more on that, you could check out 4 reasons you need a pre-approved auto loan. Safety. The vehicle had to have top marks in crash test safety ratings from the Insurance Institute for Highway Safety (IIHS) and/or the National Highway Traffic Safety Administration (NHTSA). It also must have safety features such as blind spot monitors and backup cameras available. All models also have standard electronic stability control (ESC), which helps drivers maintain control on curvy or slick surfaces. Ratings. It had to be rated well, at least a 4 out of 5, by both consumers and experts on the industry sites Edmunds and Kelley Blue Book (KBB), respectively. Rated 5 out of 5 by consumers on Edmunds; 4.1 out of 5 by KBB experts. 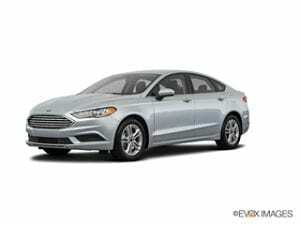 The Ford Fusion is a mid-size sedan. It has a standard rearview camera and available safety tech including: all wheel drive, blind spot monitoring, lane-keeping assistance, adaptive cruise control with collision warning, a reverse-sensing system to alert you of obstacles and Active Park Assist, which can parallel park for you. It’s available as a regular hybrid, a plug-in hybrid, a regular 4 cylinder and as a turbo V6. 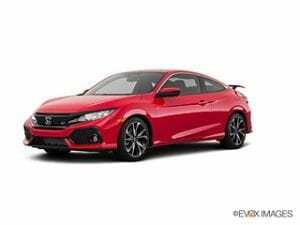 While the Honda Civic is available as a sedan, coupe and hatchback, we specifically looked at the lowest-priced option, the sedan. The only low mark the Civic received in its safety tests was for its headlights, which may be weak. But it still obtained a superior mark for front crash prevention despite that and top crash test ratings. Honda Sensing is an optional package you could get on the vehicle for $1,000 more. It adds adaptive cruise control with low-speed follow, road departure mitigation, lane-keeping assist, forward-collision warning, and Collision Mitigation Braking System, which can apply the brakes if it senses you’re about to run into something. Bonus points for the Civic not being a ‘regular, boring sedan’: users say they could street race with the turbocharged 1.5 liter engine. 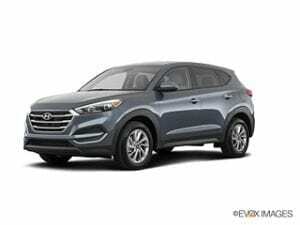 A compact SUV, the Hyundai Tucson comes standard with a rearview camera and a 10-year, 100,000 mile warranty. Upgrade options include: blind spot monitoring, lane-departure warning, rear parking sensors, all wheel drive and automatic emergency braking with pedestrian detection. 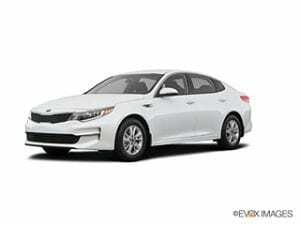 The Kia Optima earned a top safety pick+ from IIHS and you can’t get higher than that. It has a standard 10-year, 100,000 mile warranty, standard blind spot detection, rear cross-traffic alert, backup camera and rear parking assist. Also standard but, not exclusively safety-related, is a 7-inch touchscreen. Available equipment includes active cruise control, automatic emergency braking, lane-departure warning and around-view monitor. The Optima comes with a standard 4-cylinder engine or you could opt for a turbocharged engine or the plug-in hybrid model, which could get up to 103 MPGe. 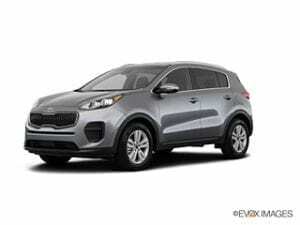 This SUV sports a comfortable interior and Kia’s standard 10-year, 100,000 mile warranty. The tech package can be added to any of the car’s trim levels and it includes: blind spot alert, rear traffic alert, lane-departure warning, autonomous emergency braking and outside-mirror turn signals. As one of the most fuel-efficient cars in the world, this four-door hatchback hybrid is sitting pretty. Standard tech includes autonomous braking, radar-adaptive cruise control, pedestrian detection, lane-departure warning, steering assist and more. Available features include blind spot monitors, intelligent park assist and rear cross traffic alert. Because the Toyota Prius was crash-test rated by the NHTSA (and it earned five stars) the pricer, plug-in Toyota Prius Prime was deemed comparable and not rated by the NHTSA as a separate model. It’s also worth mentioning that Toyota rolled out a redesigned Prius in late 2018. The manufacturer has also trimmed its Prius lineup for 2019, which includes the smaller Prius c.
All-wheel-drive, cruise control, incline-start assist and rearview camera are all standard on the Subaru Impreza, making it an excellent choice if you live in a particularly wet or cold climate. 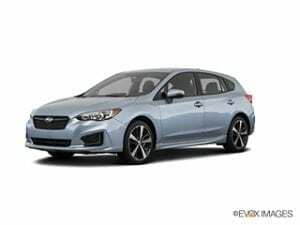 Subaru’s EyeSight driver assistance gets you active cruise control, collision avoidance, active lane keeping and pre-collision braking, which helped it earn a superior mark from IIHS on front collision prevention but costs extra. The top-of-the-line trim comes with steering-responsive headlights, too. Who will keep the car? When the teen driver is no longer a teen, will they keep the car? Or will a parent or sibling get the vehicle? Who will pay for the car? Is a parent or is the teenager going to pay for the car? Or, will it be a joint effort? If this is your first time buying a car (or your third, we don’t judge), you could check out our tips for first-time car buyers. Engine type. If driving too fast is a concern, don’t get the turbo engine. A four-cylinder will help save on gas money, too. Car type. A compact car may be perfect for a teen driver if its main purpose is transportation to-and-from school. A smaller car size could also discourage carpooling friends, who may cause distracted driving. Yet a larger-sized car may be valuable if long trips and lots of sports gear are involved. If you’re not sure how to choose, you could read more on how to find the right car. Auto insurance. Don’t forget to factor in the price of auto insurance into your budget. 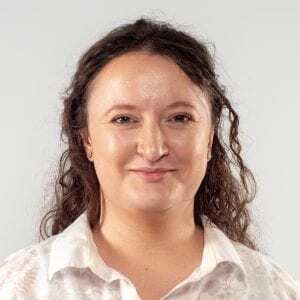 By adding one teen driver, parents paid 78% more on their annual car insurance premiums in 2017, according to research conducted by Quadrant Information Services. You can go here if you’d like some tips on planning out your car budget. Getting a car with great safety features may lower your premium. Other resources. The National Safety Council, Partners for Safe Teen Driving and insurance companies such as Geico can be good resources of safety videos and tips for parents and teen drivers. MSRP’s for above vehicles are accurate as of the date of publishing.